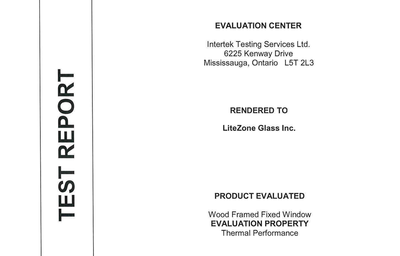 Complements wall R-values - LiteZone Glass Inc.
LiteZone™ complements the insulating values of building walls. 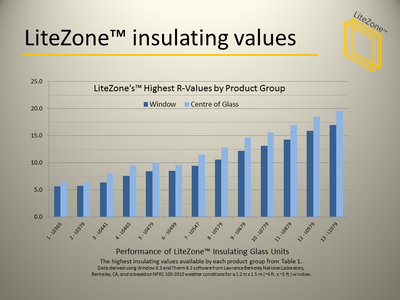 LiteZone™ insulating glass units range in thickness from 1.75" to 7.6", depending on the configuration and desired performance. 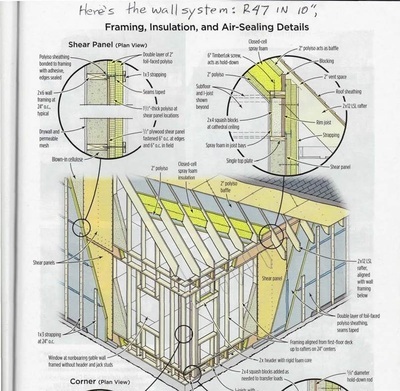 In today's residential construction typical overall wall thickness is about 7" including exterior finishes. A 7" thick wall can accommodate window frames carrying glass units up to about 4.5" thick. 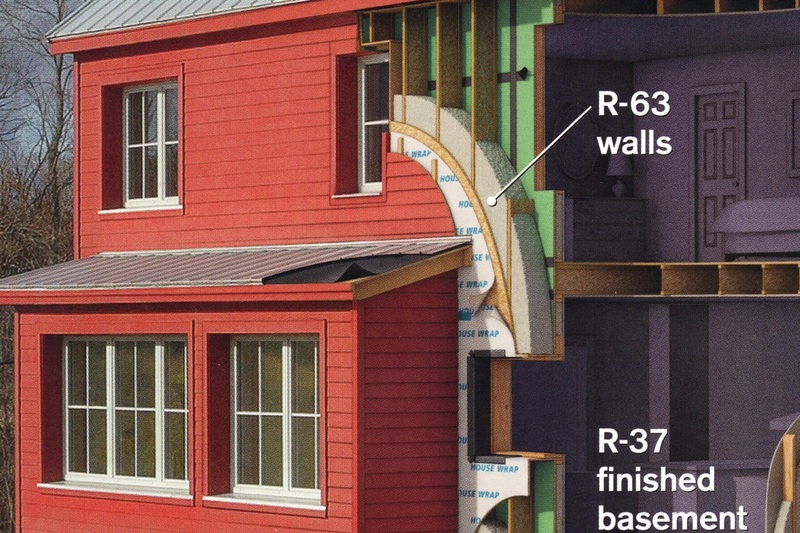 A 7" wall can achieve an insulating value of about R19. A LiteZone™ 4.5" thick IGU can achieve an R12 window with ~R15 centre of glass, complementing the wall R-value much better than previously possible. 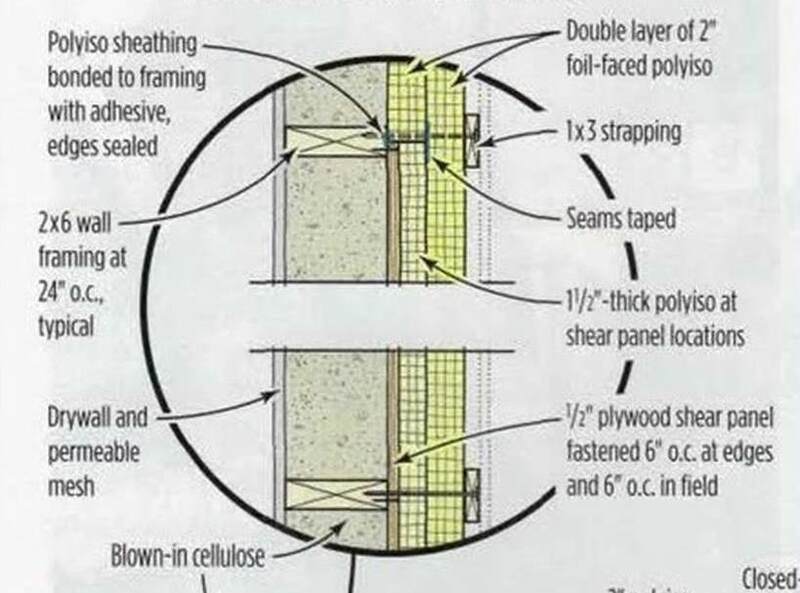 Some high performance walls have overall wall thicknesses as much as 10" to 13" including exterior finishes. By adding insulation to the exterior, these kind of walls can achieve insulating values in the range of R40 to R60 (see adjacent photos). A 10" to 13" wall can accommodate window frames carrying the thickest LiteZone™ glass units. 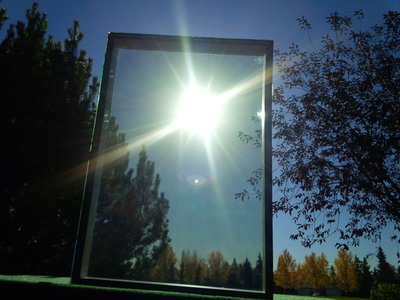 A LiteZone™ 7.6" thick IGU can achieve an R17 window with ~R20 centre of glass. 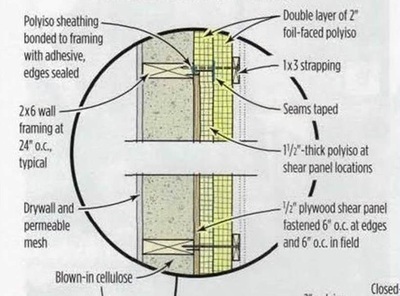 It makes sense for energy efficient homes to take advantage of their wall thickness to install windows with highly energy efficient thicker LiteZone™ insulating glass, in order to complement the wall R-value. Consider that large glass units are more economical and energy efficient than small glass units, because they have less energy inefficient and costly edge area in proportion to their centre of glass area. Therefore LiteZone™, with up to ~R20 centre of glass, makes it possible for highly energy efficient buildings, even with R40 to R60 walls, to have large windows and more glass area and still meet their energy efficient design objectives and budgets.